Think of this as a stocking stuffer column. When 7-Eleven starts selling drones, you know it’s a hot holiday gift and perhaps you received one this year. I do not have a drone, but I was listening to a podcast recently from a drone owner. One thing he strongly recommends is not to try learning to fly one outside, certainly not an expensive one. You will inevitably crash any drone you have. You might be better off setting the expensive one aside for the time being and finding an inexpensive one in an after-Christmas sale or online for under $30. Learn to fly that drone safely before trying to fly your more expensive one. And, at first, fly both kinds inside as you learn how to maneuver them. If it gets away from you, it cannot go far and won’t end up in a pond. Air currents wreak havoc with flying these lightweight aircraft so learning in a benign environment is a better idea. The Federal Aviation Administration recently decided to require many drones to be registered. Drones weighing more than .55 pounds must be registered. It can be done online and only costs $5. If you do it by Jan. 20, the registration fee is waived. The FAA will assign a number that you must put on your drone. Be aware, when you fly a drone, you are a pilot and there are rules that must be followed and consequences if you fail to follow them, especially around here with federal sites and other no-fly areas. 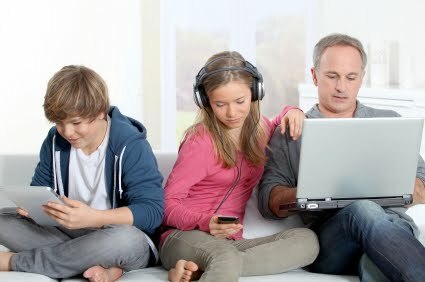 Check out this week’s link post at www.FamilyTechOnline.com for some information from the FAA. Also, since it’s the holidays, you likely have some new devices around. There’s a few things I always do when I receive some new gadget that makes my life easier down the road. Take a moment to read the manual before you play with it. Then, once you’ve played with it and are ready to put it aside for a moment, take a photo of its label; the one with the model number and serial number. Next, go online and search for a PDF of the manual that came with the device. Some items no longer come with a manual and the purchaser is directed to find it online. If you didn’t receive a manual with the item, download it and store it and the photo you took in a folder, or better yet, in Evernote. You may set the device aside for a while before you actively start using it. Take a few minutes and run through the operation of the device. Do it a couple times so its operation approaches second nature. That way you can operate it safely and well in a stressful moment. For example, if it is a new camera, you want to be able to just whip it out and grab a quick shot before the moment is gone. If you’ve learned the camera well beforehand you’ll be able to do so. And finally, after you have used it for a while, sit down with it and the manual again. The manual will make more sense to you now. You will realize you failed to notice some features and you will get more use of your item. With you and everyone around you taking photos this holiday, several people will ask you to email them the photos you’ve taken, and you in turn will ask them to do the same. Rarely does this actually happen. Just in time for the holidays, Google added Shared Folders to Google Photos. Now you can move photos you want to share with others to a shared folder. Better yet, they can move photos they’ve taken to that folder and then everyone with access to the folder see all the same photos. If you have the Google Photo app on your Android or iPhone, your photos automatically get uploaded to Google Photos and then you just simply move them to the shared folder. More information is on the link post including a short video from Google explaining how it works.